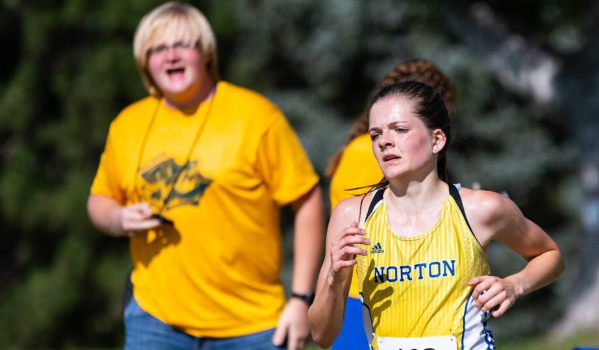 This months Nex-Tech Wireless Western Kansas Athlete of the Month is Norton Community High School junior cross country runner Lexi Kats. Kats made headlines last month on Saturday October 27th as she captured the 3A individual state cross country title for the Blujeays. She won the event at Rim Rock Farm in Lawrence with a time of 19:26.6. The second place finisher came in at 19:30.3 (Lara Murdock - Colby). Kats took fourth as a sophomore last fall in 3A. Nex-Tech Wireless would like to congratulate Lexi on an oustanding junior cross country season by winning the 2018 3A State Cross Country title.